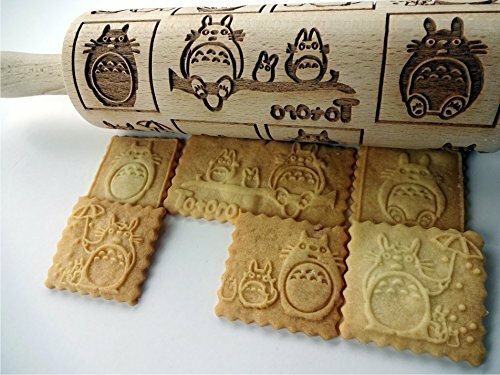 Studio Ghibli Rolling Pin- If you Bake or Craft, You NEED This! 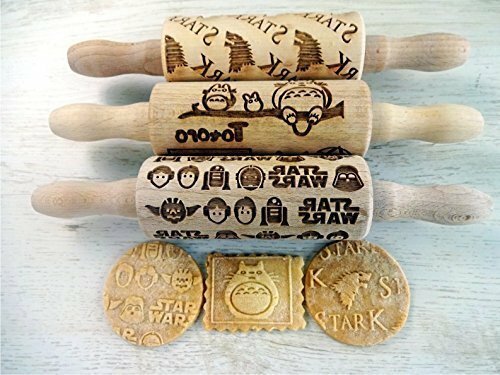 Home » Studio Ghibli Decor » Studio Ghibli Rolling Pin- If You Love to Bake or Craft, You NEED this Rolling Pin! How do they work? Simple! Just make up your Sugar Cookie Dough as always (need a recipe? Click here–> BEST Sugar Cookie Recipe) When it’s time to roll the dough out, roll first to flatten with a regular rolling pin…. leaving the dough a bit thicker than you ordinarily would (so, between 1/4 and 1/2 inches). Now.. you take your special Studio Ghibli Rolling Pin… and firmly roll it across the flat surface. It will live embossed pictures of Totoro and his friends! Separate the cookies before placing them onto a cookie sheet. Then bake as normal. 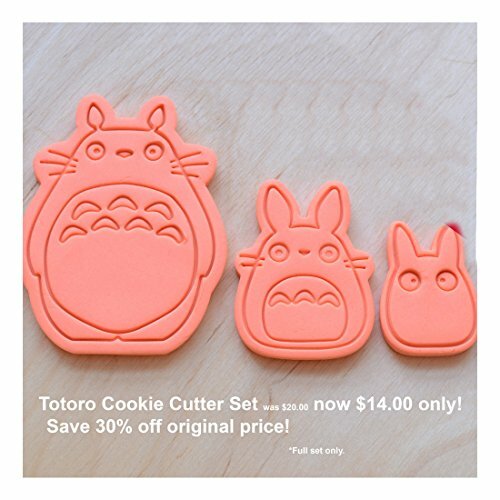 Cookies with embossed Totoro’s can be decorated simply with a glaze… or you can get out your food grade colors and “paint” the images (this works best BEFORE baking). 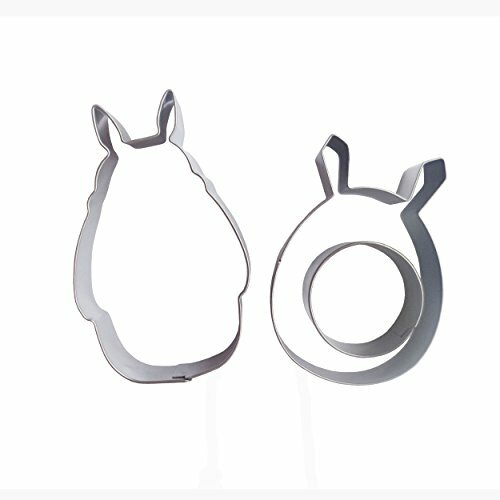 Either way… the cookies will look and taste WONDERFUL! There are 2 sizes ofStudio Ghibli Rolling Pins to choose from! This Studio Ghibli Rolling pin is the same size as regular rolling pins… just over 15 inches from end to end. It is engraved with different Totoro cookie motifs, including Totoro with an umbrella and Totoro on a branch with Chibli. Images eparated into squares and rectangles, to make multiple cookies. They call this one Child Sized, but actually, it’s just shorter… this Studio Ghibli rolling pin measures just over 9 inches… so the pattern is only as wide as the Totoro on a Branch cookie. It comes with a Star Wars Rolling Pin and a Game of Thrones ROlling pin as a three piece set. 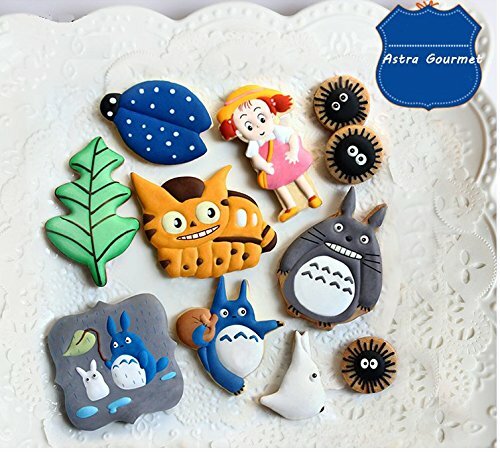 Want to add a bit of variety to your Totoro Cookies? 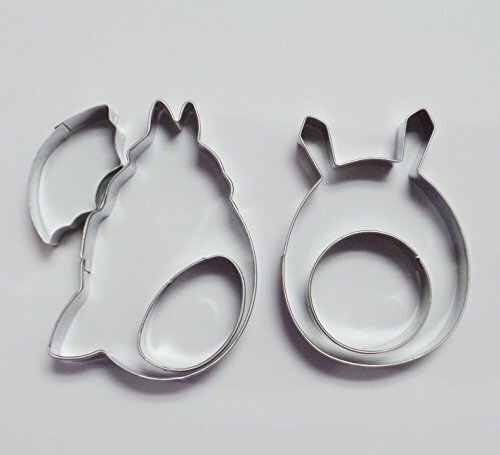 These Totoro Cookie cutters are adorable! They can be used on any cookie dough… and decorated as you like.